GRAND REOPENING - SPECIAL SINGER/SONGWRITER PACKAGE RATE! 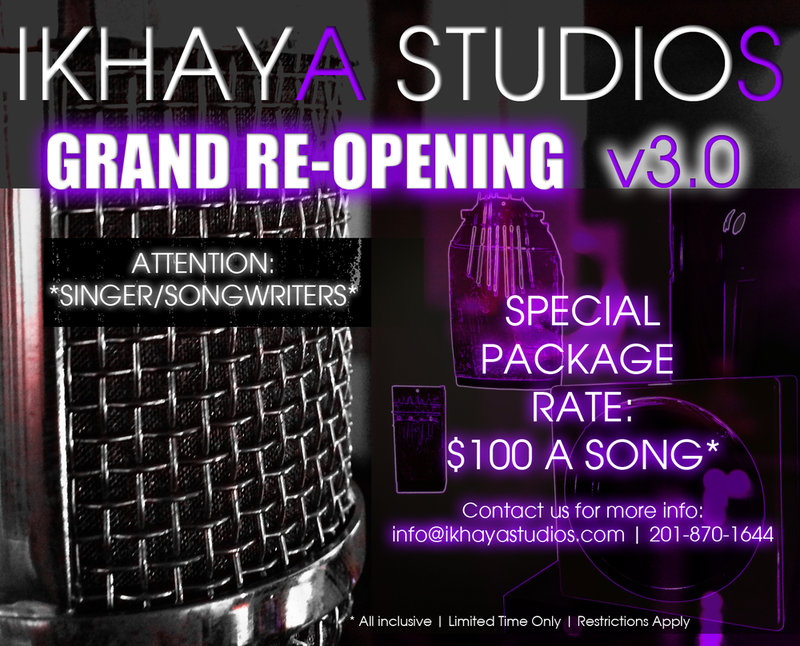 As we promised last spring, we have launched the new, roomier and more powerful Ikhaya Studios 3.0 All the jewel lights, vacuum tubes and lava lamps are aglow and we are operating at FULL VIBE CAPACITY! To celebrate the rejuvenated digs, we're offering a special SINGER/SONGWRITER Package Rate for those of you who are looking to come in and do some simple live recording either for a demo or to bang out an EP! The rate is $100 a song which is all inclusive - recording, mixing and mastering. This special is for a limited time only, but if you're not quite ready, you can still contact us and lock it in for a later date pending schedule availability (ours). Contact us now for more info and let's get you creating!